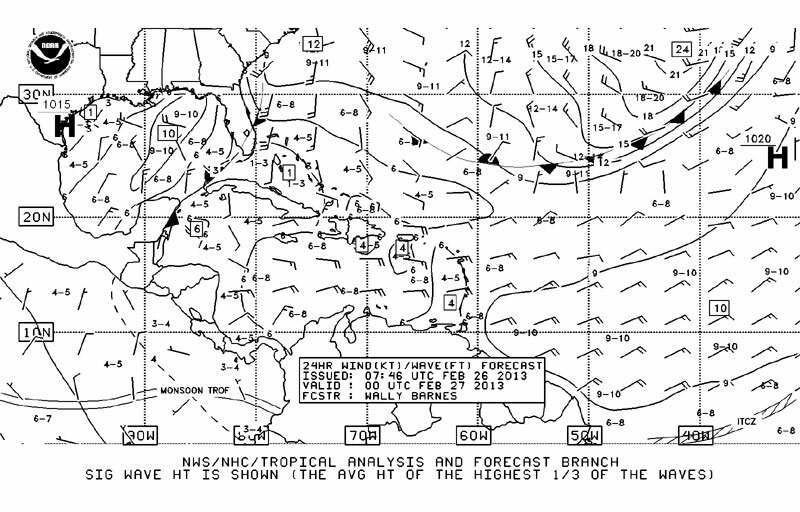 One of the capabilities I have wanted for the boat is the ability to receive weather faxes while out at sea. When I first started looking into it, I was under the impression that it required an expensive single side band (SSB) radio, like what licensed amateur radio operators use. 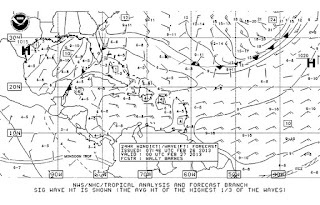 But while searching the Internet one day, I found a British website that advertised a weather fax package consisting of a Grundig shortwave/SSB radio and a software application called Mscan Meteo. The idea was to run a simple audio cable between the radio's headphone jack and a computer's microphone jack, tune the radio to a weather fax frequency, and then watch as the software draws a weather map right on your computer screen. What could be easier and less expensive than that? I didn't want to place an overseas order or deal with the Euro exchange rate, so I started looking to see what was available closer to home. I went to the Mscan website (mscan.com) and downloaded a trial version of the Meteo Pro software to my laptop. There's not much to look at without a radio signal, though, so I shopped for the shortwave/SSB radio mentioned in the British website, the Grundig G3 Globe Traveler. I found it for sale on the Landfall Navigation website (landfallnavigation.com), where I had recently purchased a courtesy flag, but a nice person there informed me that the radio had been discontinued. Thinking there must be a few still unsold somewhere, I found one at Amazon.com for $99.99, well below the $150.00 retail price. When it arrived, I put the whole package together, using an audio cable I already had, and started experimenting. I tuned to the American frequencies I found in Meteo's help screen and discovered that the weather maps they offer focus on different coastal areas depending on the signal's origin: Boston for the North Atlantic; New Orleans for the Caribbean; and Point Reyes for the Pacific. I focused on the New Orleans signals because the Caribbean is my area of sailing interest. 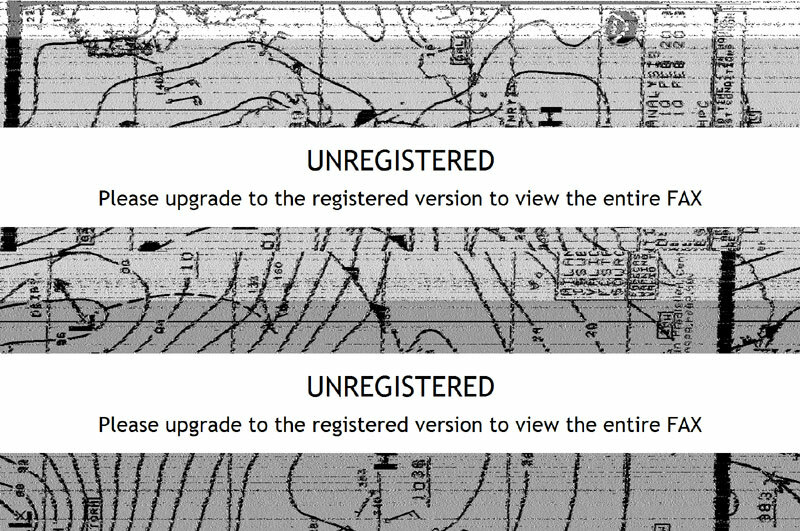 With a little fine tuning of both the radio and the software, I was able to get a weather fax to draw on the screen, but then a banner appeared informing me that I was using an unregistered version of the software. It made the weather fax almost unreadable. I checked to see what it would cost to register the software: $239.00! 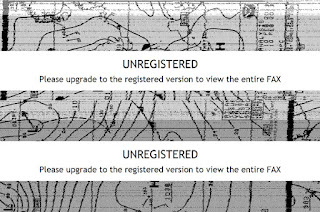 Back to the Internet, where I found a shareware program called SeaTTY that serves the same basic function for a $35.00 registration fee and does not block its weather faxes with banners to encourage registration. One of my oldest memories is one I revisit frequently, whenever I look up at the night sky and see a full moon. 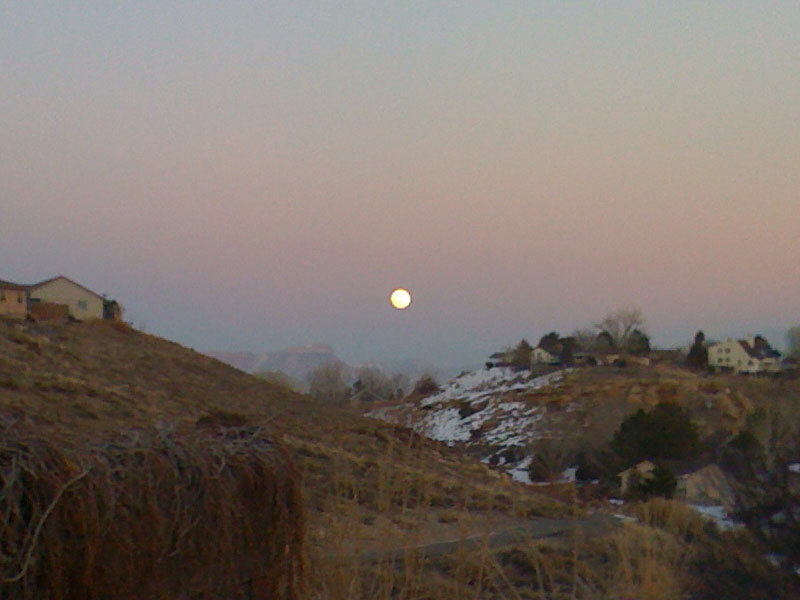 I was reminded of it again this past Monday, as I watched the full moon rise from the window of a jet flying to Cincinnati for a business training. It must be the summer of 1961. I have just turned three. My little brother Stuart, my baby sister Jane and I are finishing bowls of ice cream at Grandpa and Grandma Lichty's house in Bloomfield, Iowa. My other sister, Susan, is not yet born. We kids are alone at the kitchen table with Grandpa, Jane in a high chair. Grandpa gets up from the table, collects our bowls and spoons, and walks them over to the sink. As he washes them, he looks out the kitchen window and sees the full moon. He calls me over and points. "Do you know what that is, John?" I follow his finger, raise one of my own, smile that I do know, and say, "The moon!" He smiles back. "Can you see the man in the moon?" I look hard at the bright, blue-gray shapes and try in my imagination to make them look like a face. I don't see it. I see a marble, like the ones Grandpa is teaching me to shoot, but I don't say so. He senses my frustration, puts his hand on my shoulder and pats it. "Keep trying. You'll see it." All these years later, I still look hard at the full moon, willing the shapes to resemble a face, but they never do.